Russian Talmudist; born at Volozhin, government of Wilna; died at Ivenitz, government of Minsk, June 16, 1849. 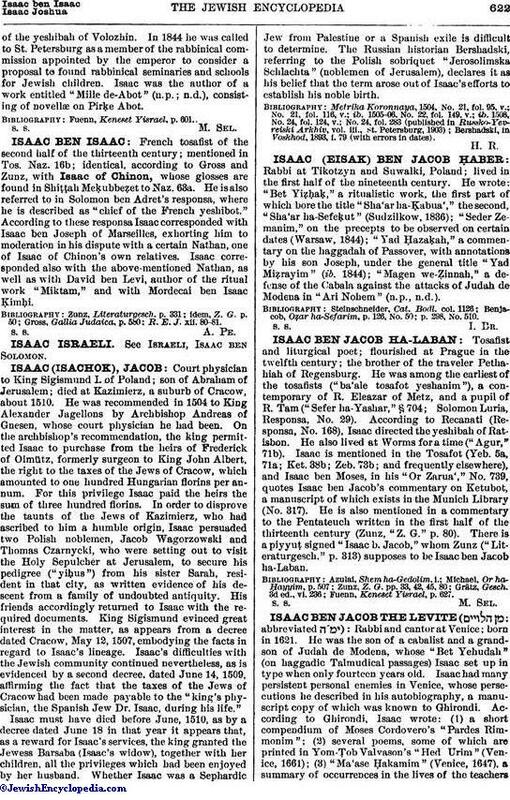 Isaac was a distinguished Talmudist, owing to which fact he succeeded his father as headof the yeshibah of Volozhin. In 1844 he was called to St. Petersburg as a member of the rabbinical commission appointed by the emperor to consider a proposal to found rabbinical seminaries and schools for Jewish children. Isaac was the author of a work entitled "Mille de-Abot" (n.p. 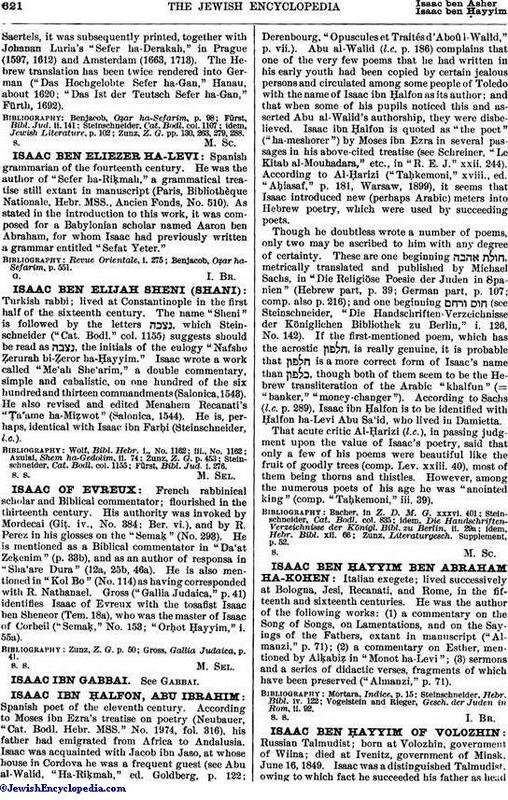 ; n.d.), consisting of novellæ on Pirḳe Abot. Fuenn, Keneset Yisrael, p. 601.